I used to think I had it all figured out. If my oldest, Eliah, who is now 10, wanted extra video game time, no worries. We sometimes worked out the terms on a 1:1 ratio, sometimes on a 2:1. Read for 1/2 hour, and then you can play your video game for another 1/2 hour. Or, read for an hour, then 1/2 hour of video game time. Or it could’ve been piano practice. 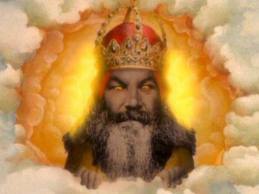 I had to have something I knew was good for his mind and imagination, his education in general. I thought I was being responsible, smart. I wasn’t going to be one of those parents whose young teen played endless hours of video games and there was no apparent solution. Nope. I was smarter and more disciplined than that. Now, as with so many things that one experiences as a parent, I see how it is not so easy. I am 30 years older than my oldest son. When I was 10, in 1982, Atari had been out for a couple of years. We were way beyond Space Invaders and Pac-Man. These were the emergent years of Defender, Asteroids, Yars Revenge, Adventure, and new players like Activision were entering the scene and producing cool games like Pitfall and RiverRun. Meanwhile, Intellivision had come onto the scene and was definitely a step up from the 2600. A small step, but it definitely had Cool Factor. A year later Nintendo hit and BOOM! the whole thing just shot out of the sky with Donkey Kong and Mario Brothers and such. I mention all this not to blithely reminisce. I mention all this to point out that if these repetitive, one-dimensional, 8-bit computer graphic games were as compelling as they were, can you imagine entering into the video game world such as it is now? 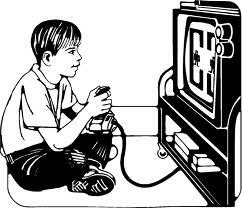 It’s like fast-forwarding through all the hype and build-up and excitement you had before each and every platform release from the 4-bit to the 8-bit to the 16-bit. Does it get any higher than 16-bits we wondered. The doubling-bit-technology-platform-release schtick went on until they just couldn’t set expectations on how much better the graphics were going to be. It’s become a focus on game play experience itself, and that is where we find ourselves today. In visual motor ecstasy. Come to find out, decades of data show us that behavior associated with reward and punishment is not always the most effective tool for motivation. In fact, it seems to take the fun out of a task and turn it from play into work. 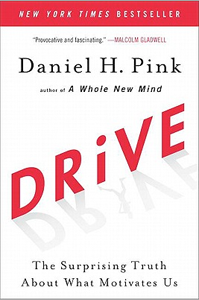 At least that’s what Daniel H. Pink’s latest book, Drive: The Surprising Truth about What Motivates Us, claims. Seems I had it all wrong. The secret is you hang out with your boys more. A lot more. Otherwise, they may just prefer to play Minecraft until the world ends.